You are looking for executive transportation in New York or Boston, MA? Master Livery Service’s provides Boston Executive Limo Service travel throughout the central Massachusetts area and New England sectors. Our fleets are included a luxury limo, stretch limo, extensive sedans cars, airport shuttles, executive vans, coach and buses. It doesn’t make a difference what you require we have a tremendous gathering of extravagance travel alternative that will help to set the right tone for all of your business requirements. Whenever you want to impress your clients with a luxury executive limo service or need large group transportation for a convention or trade show, we have the actual executive transportation for you in Boston, Worcester, Marlborough, Shrewsbury, and many more destinations. Master Liver Service that is really worth your prestigious time and money should do more than simply pick you up at the Logan Airport, and take you to your primary location or destination. If you are interested in hiring an executive limo service or airport limo or car services which can full fill your all desire, all you want from a company that can take you to the Boston, as well. In the terms of more noteworthy Boston and its encompassing regions, there are such a large number of genuinely spectacular towns out there. We are talking about places like Sudbury, Newton, Natick, and Milford. These areas are a portion of the regions which delightfully accentuate exactly how exquisite and exciting the New England sector of the United States can truly be. Somehow if you need to move from any of these places to Boston, regardless of any reason, then obviously you need transportation. There is always an option that, either you can certainly handle the driving on your own, or you can consider the true benefits of traveling in premium comfort and luxury chauffeured service. If you come to decide on the second possibility, Boston Executive Limo Service can surely help you with that. We are most demanded limo Service Company at Boston that offers airport limo services, corporate limo service, and so much more to get you to your destination in style and comfort. Our executive Logan International Airport transfers are perfect for VIPs, high profile executives, Royal families, Celebrities, and potential customers. Amaze clients flying into Boston-Logan International Airport or T.F. Green with Boston executive limo service. We also provide executive van which can facilitate private airport transportation for large groups of corporate teams. Whenever you need group transportation to a convention, trade show, or corporate event anywhere Boston MA, Worcester, or on the other hand wherever all through Massachusetts and New England our official transports have more head and legroom with plush leather seating. And this might be the finest approach to start your very next corporate convention within the Boston. You can reach in style and solace at mainstream tradition focuses and meeting spaces. Corporate places as well as including the gathering focus Southbridge inn Hotel & DCU Center, and the Exhibition Center and Boston Convention. 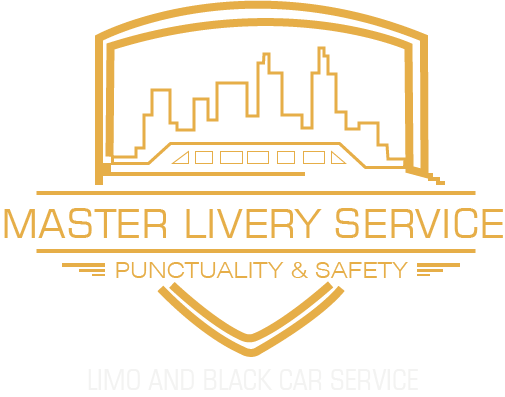 Master Livery Service can surely handle all your executive limo needs, anything from hourly rentals to city-to-city transportation. Our Hourly car service is more than a great option for executives who need to make various conferences or outings in a brief timeframe. We are well aware of that flexibility is the main key to the growth of good business planning. So our transportation network can also facilitate city-to-city transfers, whether it is Boston to Concord or any other location in New England. So, you can avoid those annoying such as airport security problems and delays, or provide a client with a private Boston’s executive limo service experience. It is the most convenient way to travel from Tewksbury to Boston, get to the Logan Airport or business meeting with a reputable and top-notch executive limo service.